Over the last 15 years of my life, I have purged A LOT of stuff. Some of it was sold or given to friends or relatives, some of it was trashed, and most of it was given to thrift stores. There have definitely been times when I’ve hastily purged things I MIGHT have been able to use later — but as I think back over the thousands and thousands of items I’ve purged, there are very few items I regret getting rid of. In fact, I can honestly only think of 3 or 4 items I wish I didn’t purge! What-if-I-need-it-clutter accumulates quickly and can be very difficult to get rid of — especially if you are frugal, emotional, or someone who tends to worry. I am not emotional or prone to worry about much besides my kids… but as a frugal person, even I catch myself wanting to hold onto various items just in case I might need it some day. Thankfully, I’m almost always able to convince myself to purge the items in question, and 99.9% of the time, I’m so glad I did! If you’re looking for a little motivation to purge your what-if-I-need-it-clutter, I hope today’s post will help! If nothing else, you’ll at least get a peek into my brain and my rationale as to why I do NOT keep what-if-I-need-it-clutter. 1. I know I can almost always make do with something else. I suppose there’s a chance I MIGHT need or want one of the items I purged… but I figure that if I’m already considering purging it, I’m not using it much right now. And if I DO need or want something I purged, I’m confident I’ll be able to make do with something else — at least for a while. It’s always interesting for me to realize just how few things we actually NEED… and how resourceful we become when we don’t have the exact item we want. Believe it or not, I got rid of my stand mixer and blender years ago and have been (easily) making do with a small hand mixer and hand-held immersion blender ever since. Even with ALLLLL the cooking and baking I do, I’ve only missed my stand mixer once or twice when I was making an extra huge batch of thick cookie dough or bread dough… and I don’t think I’ve ever missed my blender. When people hear that I purge many of my baby things after each child, I always get the question “but what if you have more kids?” I usually respond somewhat sarcastically with “Well, what if we don’t?” In all seriousness, though, even if we do have more children, I know I’ll be able to find anything we actually need at thrift stores, on Craigslist, from garage sales, or as hand-me-downs from friends or relatives. As for clothing, books, decorations, or any other number of things — I’m confident any one of us could easily do without a few of these things without too much trouble. 2. I can almost always find a great deal IF I do need it. I realize not everyone is prone to bargain shopping — but it’s honestly amazing how many times I find an amazing deal on Craigslist for just what I was looking for, get freebie hand-me-downs from friends or relatives, or find a clearance item that works perfectly for what I need. I don’t feel that I’m extra lucky or always “in the right spot at the right time” but rather, I think that more often than not, there are plenty of good deals out there IF I decide I need something I already purged. But as I mentioned above (and as I’ll touch on later) there have been so few times when I’ve actually regretted a purge that this really hasn’t been much of an issue for me. 3. I LOVE the extra space in my house. I would SO much rather go without a few items I might (or might not) want or need someday in exchange for an empty shelf in my closet, an empty cabinet in the kitchen, and less-full toy bins in the playroom. Room to breathe, room to expand, room to put more things when they inevitably come into our house. So often, I hear others make excuses for their abundance of clutter by saying “but I have the space for it”. Well yes, technically you can cram a little bit more into your closet or the shelves in your garage or your attic crawl space… but why? If I don’t use it, need it, want it, or love it, there is no reason to hold onto it even if I do have boatloads of empty storage space to keep it. In fact, we truly do have a ridiculous amount of empty storage space in our house — a full walk-in closet upstairs that is completely empty, empty shelves in the kitchen, empty dresser drawers in our bedrooms, a basement that has almost nothing in it, and a garage that can easily transform into a party-hosting space in about 15 minutes because we don’t stuff it full of things we “might need someday”. The extra space and breathing room does my soul good… and it’s much more beneficial to me than a bunch of things I might (or might not) need in the future. 4. I’d rather let someone else enjoy it. When we lived in our first house, we got SO much furniture and decorative items give to us from family and friends. Initially, it was really fun for me to practice painting and distressing the furniture to give it a new look, and I even made a few slipcovers for chairs. By the time we had our house the way we wanted it (about 2 years later) I realized some of the freebie furniture had been sitting in our basement collecting dust for over a year — and other people could have been enjoying it for over a year. I ended up selling everything on Craigslist for very reasonable prices and enjoyed the extra space (and the extra cash). After that, I vowed to never hang onto ridiculous amounts of stuff that we didn’t have an immediate need for. Fast-forward 5 years and Nora was a baby — quickly outgrowing her adorable baby clothes. Initially, I had a hard time deciding what to purge so I only purged about half of her things (keeping all the super cute outfits I loved at the time). Then, 2 years later when we realized we were having a boy, I decided it was time to purge the rest of her clothing. However, by then, several of the items had yellowish spots on them (I think from spit-up that didn’t wash out all the way) and many of the items already looks somewhat dated. I couldn’t help but think of how many other people could have enjoyed her baby clothes if I hadn’t stored that tub for 2 years… and I doubt those yellowish spots would have showed up if the items had been regularly washed. Needless-to-say, I am now pretty adamant that unless I have an obvious need for the items (like passing several of Simon’s items directly down to James) I will not hoard them in my house — but instead, I’ll let others use and enjoy them. 5. I have come to realize I most likely WON’T need it! As I mentioned above, I have purged thousands and thousands of items over the years, and have only slightly regretted a purge 3 or 4 times. So if you think about it, the odds are pretty likely — at least based on my own personal experience — that I will NOT need it again. I could probably come up with a few more reasons, but I think these 5 cover the bulk of it. Yet, at the same time, I’m fully aware there are probably more than 5 reasons someone WILL hold onto their what-if-I-need-it-clutter. I’m not saying YOU personally shouldn’t hang onto any what-if-I-need-it-clutter… I’m just sharing why I DON’T hang onto mine. I do hope that if you are debating about whether to purge something or not, this post will help bring clarity to that decision — whether the answer is “yes” or “no”. Also, I hope it gets you thinking about why you’re hanging onto the things you have in storage — do you actually have a use for them (ex: camping gear you use once every summer, holiday decorations you use each year, etc.) or are you simply worried you might need them again some day (clothing that’s too small, old baby clothes, an extra toaster, etc.)? I know from my own personal experience how freeing it is to get rid of items I don’t need, use, want, or love — even if I might potentially need them again some day. 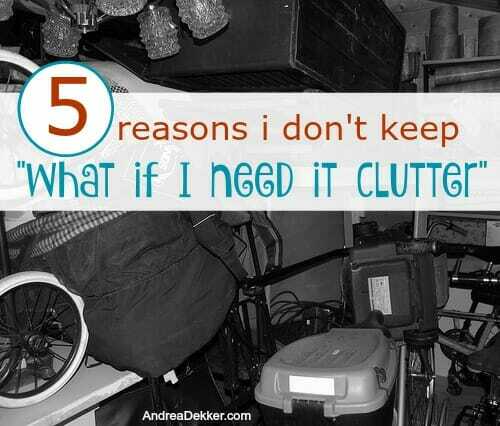 Do you struggle with what-if-I-need-it-clutter? Argh!!! This needs a caveat. Do not declutter any appliances made in America. My old crockpot was getting grimy and the paint was sort of blistering. Since I rarely use it in the summer (traveling) months, I got rid of it last spring. This last winter I’ve bought and trashed 4 count em 4 crockpots made in China. My old one lasted 30 years. The ugliness on the outside of the metal part is why I trashed that one, but the Chinese made ones had way worse issues. The first one did not work at all. Sent it back to Amazon. Second one from Target, the cord and plug assembly got hot and melted and blew a fuse. That went back. Got a different brand the next time. It had a digital display that didn’t. Display that is. The last one a very pricy brand from William Sonoma bought with Christmas money burned everything. So it’s in a box. Can’t give to goodwill in good conscience. I’m trying to get my money back. It’s almost April. They called it operator errors !!!! Hello I have grad degrees I can read instructions. Get rid of all the I might need it but only if it turns out to need replacement. Old sheets, towels, no brained. Grandma’s deep fryer? Hang on to it. You can’t find one anywhere except eBay. haha — sorry for your slow-cooker woes 🙁 Hope you get your refund! Hi Leslie! Glad to have you as a new reader!! Good luck with the move and yay for more storage at the new house!! We just bought and moved into our very own house (after 7 yrs of marriage and 3 kids). Now, my husband thinks we are done having children…I’m not so sure. So in preparation of our move, Hubby was adamant that we get rid of the boxes and boxes of baby clothes and other things that we currently don’t need for our youngest. And thanks to you and your rationale that if we have another kid, we can easily replace clothes and other items, we did it! And I am so glad we did for 2 reasons: 1. I’m so glad we don’t have all of those boxes (and there were A LOT of them) cluttering up our new garage, and 2. I realized after having 3 kids and finally seeing ALL of those clothes piled up at our yard sale, that we had WAY more than any one person needs for their kid (like you, we received a lot of freebies with our first one). I didn’t even use half of the boy clothes with my second son. It’s kinda crazy that I held onto them for as long as I did! But my mom’s a very “what if I need it person” and so that’s how I was until I began reading your blog. Thanks for showing me a different way! Great post! Today I followed your advise and I got rid of half of my glasses and cups, it feels great to have the extra space. I usually have the hardest time getting rid of things when I say to myself: “but this sweater still fits really well”, “these decorations match my home”, “this kitchen item is still brand new and cute”, “this is part of a nice matching set” (relating to your recent post about those), etc. and of course – exactly as you put it so well – “what if I need to use it/want to wear it/miss it later”. Sometimes it helps to mentally think through what is REALLY the reason for wanting to hold onto and item and often I come to terms with the fact that I just need to get over whatever is holding me back and just purge. I am a perfectionist by nature so it would usually drive me nuts to get rid of a partial set of something – would rather have all or nothing. I also struggle most when I know the item isn’t replaceable if it’s something that’s super unique or not for sale anymore. However, when it comes to clothes, my biggest motivator (other than a slimmer closet) is knowing that there will always be cute, practical, good fitting stuff out there I can look forward to shopping for in the future if I ever do find myself needing to replace something I gave up. Like you mentioned, I usually don’t end up missing the purged items at all, but reminding myself that it’s “just a sweater and can always be replaced” helps my reasoning process and leads to more successful purges! Also, I’m so happy you keep telling yourself that “it’s just a sweater” (or whatever it is). It takes a lot of work to purge — even I have to talk myself into it sometimes — but it really does pay off in the end with less stuff, less stress, more space, and more peace of mind! Trunkload*, whoops. Maybe someday I’ll have enough to fill a truck, haha. I have learned and applied so many great decluttering tips from you and feel so much more free in our home, and in turn, in my mind. I can find what I need and it’s streamlined the whole household having the family purge regularly. Thank you Andrea! We have a huge cedar walk in closet and it’s kind of the ‘holding area’ where anything goes and then I gather everything up at my convenience for a Goodwill drop. I personally go through the boxes, or clothes. I will cut up old tshirts for cleaning clothes and throw out the stuff really that should have gone in the trash (but am still thankful they purged it!) and have found one tip to work for me on ‘hard to get rid of items.’ I have a roll of masking tape & a sharpie in there and I write the date & stick it on it. If it’s still sitting there the next Goodwill run, I usually toss it in. I have left stuff there for longer than a few months, and sometimes it does get used or picked up by someone who needs it, but normally, after I see that date a few times, I indeed get rid of it! Thanks so much Summer! It sounds like you have a really good system for purging — I love that you put a date on items so you can actually know how long they’ve been sitting around. It’s amazing how quickly something goes unused for months (or years) without us realizing it! Yes, this is definitely something I struggle with. My husband was laid off 3 times within 5 years early in our marriage so I am always afraid of us not having money to replace it if we need it. We are purchasing our first home and in preparation we donated tons of stuff and threw tons out but I still feel like we have way too much. I told my husband we should leave everything in boxes and only unpack as we find we need something. After 6 months if we haven’t unpacked it, we should throw away the boxes without looking in them. I think that’s a great idea Jamie! Obviously, you’ll need to unpack some essentials right away, but if you really haven’t used something in 6 months, there’s a pretty good chance you’ll be able to easily live without it! Very relatable article for me. I am in the process of selling my spacious condo and looking to downsize into a smaller place. I can’t tell you how many things I’ve either sold or taken to our local Goodwill and I still have so much “stuff”. I love the uncluttered, staged look we have going right now but there are still some closets and our garage that have more stuff I know I should get rid of. I’m sure it’s probably a bit overwhelming… but doesn’t it just feel GREAT to purge!! This was a great post. We are going through our house again. We do periodically. I usually want to “throw out more” than my husband. But, after having to empty out his aunt’s home he has finally seen the light. She didn’t have much left other than her clothes and normal living things like pots, pans, kitchen equipment, furniture etc.,but still, it was a weekend worth of work for several people many calls to find out what to do with antiques and many trips to Goodwill. Great post!! I hear this SO often — the “light bulb” finally goes on after they need to clear out a house after someone’s death. Glad you were able to clean out his aunt’s house though — so great of you to do that! Great post! All so true. We are due for more purging in our garage at the moment! (And everywhere else in the house, too!). I wanted to also add sometimes to get rid of something is painful, but still worth it. In our 20’s my husband and I had small apartment in San Francisco. 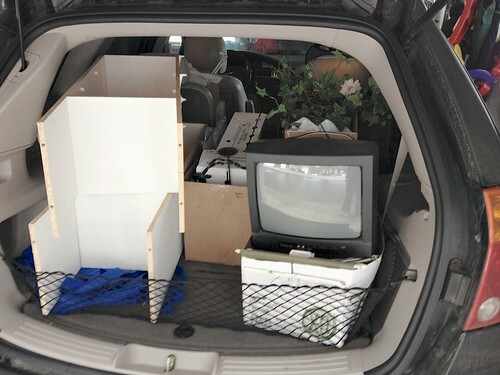 We did a big purge and gave a couple of carloads of stuff to the Goodwill. It was so wonderful to get rid of all that stuff. I, however, felt a great loss because I had decided to give away a giant teddy bear that my mom had given to me in high school. I was so sad and I couldn’t even remember how I had decided to give that teddy bear away! It seemed like such a mistake . My husband even went around to the different Goodwills in San Francisco looking for it! After a week or so though , the feeling went away. And I realized I was so glad not to have that giant teddy bear! We just didn’t have room for it. And I was in my 20’s, in the city, with my husband- a giant teddy bear just didn’t fit my life! We didn’t even have much closet space, so the bear was prominent in our one room! Ha ha. I was sort of stuck with it. In a moment of wisdom I knew I wanted it to go. So I sort of had to walk through that grief. And it was hard , but it needed to happen. I still remember the bear and I appreciate it and the feelings it held. I didn’t lose that. If it wasn’t so huge I could have kept it! I still have my childhood (regular size bear) in my kid’s room today, because my kid’s like it. So size and space and how your life is does matter. It’s okay to make those tough choices, and overall it will be okay, even if it’s hard sometimes. We can’t carry everything with us everywhere, and that is okay. In fact it’s just so nice to have space and room to live in the moment! Thank you for sharing the story about your big bear. I have what seems/feels like hundreds of “giant bears.” I just read on another blog about taking pictures and writing the story/memory that goes with the picture and keeping it in a memory book, for those times when you enjoy reflecting on the memory the thing sparks. I could use encouragement in the purging area of life and this post and the comments are encouraging. Something else that I think about is…what if purging does NOT give me clarity of mind, peace, etc. What if I clear out my clutter and then feel like I’ve lost a friend? Ha! The burden is real, isn’t it?! 🙂 I do know that currently there is a feeling overwhelm and may be worth taking the chance and seeing if possibly this can be lifted with a bit of purging. you might not believe this… but I’ve never actually thought of the idea that someone might NOT feel less stress, peace, etc. after purging! I just always figured everyone would feel so “free” after removing boatloads of stuff they no longer needed or used. You’ve given me something to think/read about… that’s for sure! I need to do this in my kitchen, I have quite a few repeats in there. I always think that I will need it later but in reality there are lots of things that I’ve used once and that was it. It is hard to do the purging sometimes but I am running out of space at this point. Yes, kitchen gadgets are the worst! They are so enticing and seem so useful… until you realize they really aren’t that awesome and are just taking up valuable real estate! 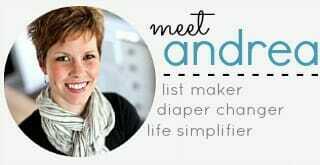 Andrea, A perfect post for me as a grandmother approaching a significant birthday in 60 days! I am all of what you mentioned: sentimental, frugal, and tending towards worry. 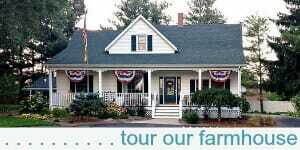 But thanks to my husband, we downsized out of the house we raised our children in upon my early retirement and moved into a much smaller but still very functional home in a retirement community. We fit most of our “stuff” into a POD when we moved! Still, I have boxes in the garage that I need to go through. 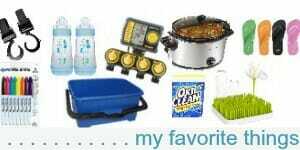 Your post today is a great encouragement to me to finish purging the rest of my “stuff” !!! My goal is to do it within 60 days! I hope you make some good progress with your boxes! I know it will feel so freeing once you purge much of that stuff! I agree with you a 100% but it is sometimes so difficult to do. I think that we tend by nature to hold onto our stuff “just in case” because in human history there have been times when people struggled to get things they needed. Maybe that explains why it is so difficult for most people to get rid of their stuff. If you approach life with a poverty mindset, you believe you need to hoard and keep things because there is a limited amount out there and you need to keep your pile, just in case. If you have an abundance mindset, you believe that there will be more when you need it, so you can happily give away what you don’t need. Our Heavenly Father is infinite and has infinite resources to insure that His children have what they need. It’s so much more peaceful to trust His care than to worry about how we’re going to have enough. Sometimes He uses some really creative means to take good care of His children. It’s great fun to watch. Sometimes we get to be the answer to someone else’s prayer for something they need. We’re switching beds as our children are getting bigger. We needed a new twin size mattress for our son’s bigger bed, but hadn’t gone shopping for one. We have to drive a long way to buy big items like that, and we’re at a busy time of the year with my husband’s school starting. We Just Happened to Mention this to an aunt on Sunday, who Just Happened to have gotten a bigger bed and was wondering how she could get rid of her old twin size mattress! No shopping needed, no money exchanged, and we have what we need and our aunt doesn’t have to make arrangements to have a big item hauled out of her small apartment. That makes God and me smile. I love this comment. Think in abundance. I am relatively good at purging but over the last year things have creeped up and I am tackling it as we speak. I am definitely not a keeper or clutterer anymore. I’ve always been a bit sentimental but I got over that when I realized I didn’t want to pass junk onto my kids and strap them with guilt about keeping something of mine just cause it belonged to their mom. When does it end? The worst I ever saw and it was life altering for me, my friend’s mom passed and left 4000sqft of a well organized and cataloged life. It was horrifying to watch her kids have to clear out that house while they were also grieving. It cause so much fighting and trouble, the kids have never recovered from it. So sad. oh wow — that’s a huge house and a lot of stuff! My grandma is my only close relative who has died and left stuff behind — but she was SO good about purging that there was hardly anything left to go through. Even with her few possessions, there was STILL some arguing and hurt feelings. It’s so crazy (and sad) how THINGS and GREED can have such a huge impact and hold on our lives. Good thoughts. I am on the same page. Just out of curiosity, what are the things you regret getting rid of? As I reflect on all my years of decluttering, I’m happy to realize I can’t think of anything I am sorry to have gotten rid of! And in a similar train of thought, I can’t think of anything I’m sorry I didn’t buy. yeah… I agree with the “nothing I’m sorry I didn’t buy”. There are so many times when I think “oh shoot, I just missed that deal” only to realize later that we totally didn’t need it and I’m SO glad we didn’t purchase it in the first place! right now I have soooo much clutter.. but with working full time out of the house and 2 kids going in completely different directions… I really have to make some time to have a garage sale ! One thought — what about just donating everything and skipping the super time-consuming garage sale? I’ve personally never had a garage sale because they seem like WAAAAAY too much work for me. 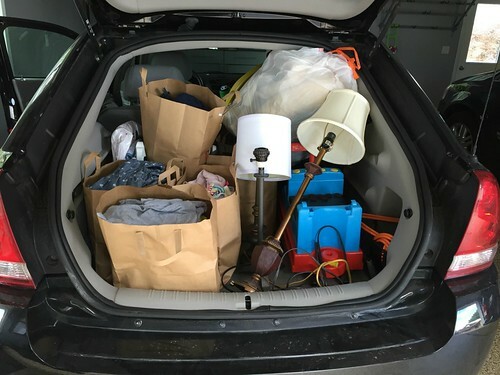 Maybe it’s worth it for you based on the income you make from it — but in my experience (and after talking with lots of people who have garage sales) it might be more advantageous for you to simply purge and not worry about sorting, pricing, and organizing everything… and then giving up an entire weekend to sit outside and wait for potential buyers. My husband and I never think we have much to sell but we always make about a hundred dollars by quiting time. That’s a days pay and we got to hang out together. Win, win! It’s a great resource for those of us on a limited income. It was also a great way to show our son how if he purged some ‘tired’ toys that he could use that money toward something new at Target! Also, garage sales can be pretty easy nowadays. Dollar tree has pre-priced sticker dots and garage sale signs. If you have a family member that wants to join in it can be twice as fun and fruitful. Good to know — Thanks Tina! If I ever have a garage sale, I’ll head to the Dollar Tree to get my supplies!! Great tips! In regards to your comment about having more children, I love to read a blog called Frugalwoods. When they had their daughter, they had this on their blog. “Thus far, we’ve spent a whopping $20 on baby accessories: $10 for a charming baby swing from a garage sale (see photo below) and $10 for a bag of 53 baby outfits, 3 hats, and 2 blankets from another garage sale (see photo above). Everything else in Babywoods’ retinue is a used hand-me-down”. I thought that was great. Even if things are needed in the future, they can purchased pretty cheaply sometimes. haha — WOW, that’s quite a compliment!